The people of the Central Texas Conference are making a difference in their communities – and that just isn’t a nice thought or a lofty aspiration. It is happening day in and day out. If you want some proof, check out the following short Tales of Transformation that were sent in to the Center for Mission Support team during the past few weeks. Enjoy and check back here soon because more and more of our members are doing relational evangelism every day and we expect many more stories like this in the days to come. 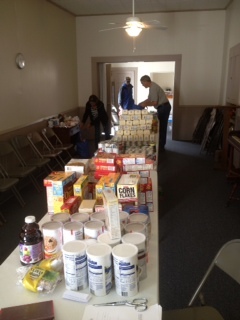 Some of those served through the food pantry now attend church and the church family is excited that they are doing so. Pastor Judy says, “Yes, we are a changed church!” Thanks to this faithful Body of Christ for its Kingdom building faithfulness! 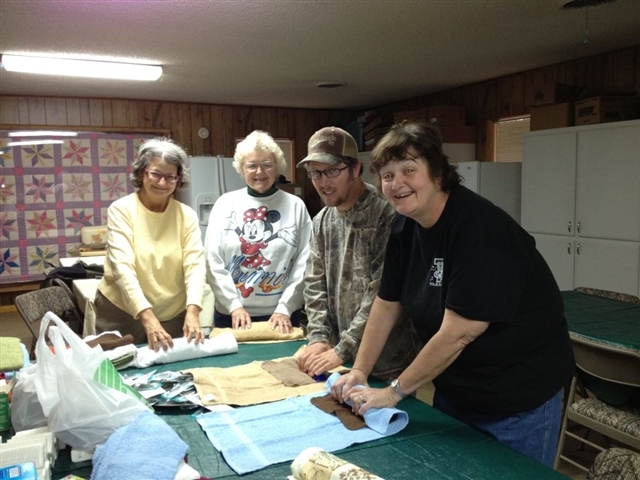 Recently, King Memorial UMC connected with an UMVIM team to Haiti from Aledo UMC to send 60 handmade dresses to children in Haiti. The project started as an idea to make some simple dresses for children, without a particular idea of where that need might be. Through the United Methodist connection, the dresses were delivered with lots of hugs and smiles to children who truly needed them. God was indeed working in multiple ways through this ministry: surely in the lives of the children who received the dresses, but also at King Memorial UMC. 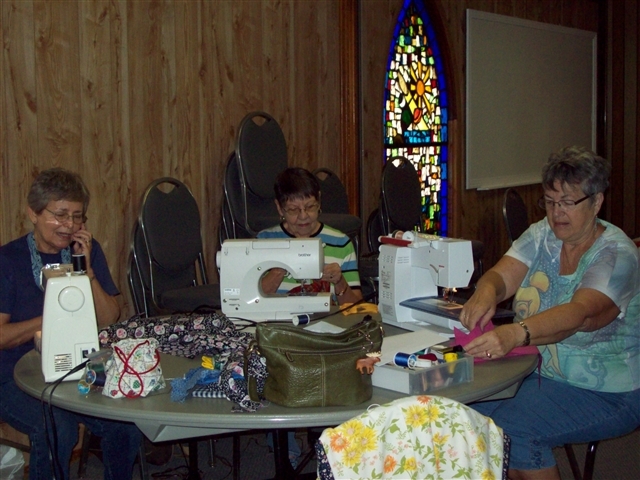 They invited persons outside their own church community to be a part of the sewing project and have built some new relationships locally. According to one of the leaders in the ministry, “Knowing that something we have done is making a difference somewhere else in the world has us asking ourselves what else or what more we can do. We feel a bond every time we see the pictures which hang in our fellowship hall of a few of the young girls who are wearing the dresses.” And, the church has taken a bold step forward in inviting their community to be a part of their ministry efforts! Congrats, King Memorial!! This Fall the Central Texas Conference celebrated a fantastic conference-wide Bible Camp for third and fourth graders. 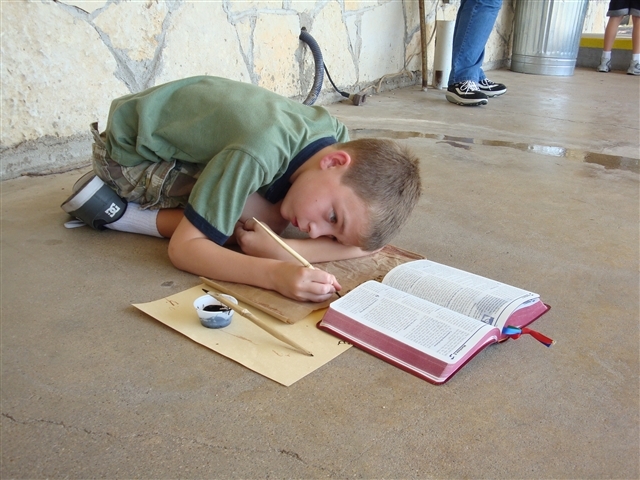 Thirteen different churches brought 104 children to Glen Lake Camp and Retreat Center for a two-day, one-night event, which included large group and small group opportunities for the kids to learn about the overall design and use of their bibles. Thanks to the leadership of a great team led by Cathy Smith and the many children’s ministry leaders who came together to organize the event, the children experiences some great learning and some traditional camp fun! Intentional Faith Development happens in a big way in the focused camp setting! Watch for more details about the 2013 Bible Camp coming soon! It would be hard pressed to be further away from China than when you are in Winters Texas. However, Winters, is now home for the Ni family, a family originally from China. 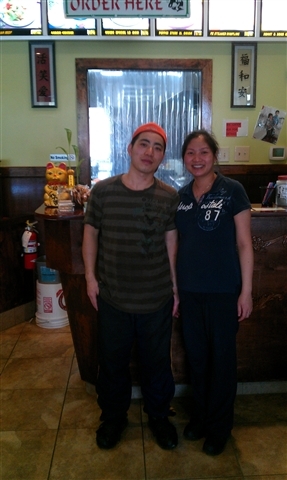 They are the owners and staff of the Chinawok Chinese food restaurant in the city. The Ni family came to Winters from New York City. Needless to say it was quite a change. Moving to a new place, still learning the language and not having a lot of friends can be very hard on a family. One of the members of FUMC Winters wanted to be sure these folks felt welcome. Bobby Mayo, a longtime member of FUMC and longtime resident of Winters took the time to develop a relationship with this wonderful couple. Bobby found out that they were Christians – Christians without a church home. Bobby also found out they only had one Bible to share and that they were trying to learn to speak better English by reading the Bible. Bobby came to the church and made sure the Ni family was given two CEB Bibles. Bobby also invited them to church. They came and were warmly accepted. Just a few weeks ago, the church gave the couple a baby shower as part of the morning worship service. The couple was deeply moved. They stated that FUMC Winters made them feel like family. We have assured them they are. The pastor is talking with the Ni family about membership and they are very interested. More and more of our members are doing relational evangelism. We expect many more stories like this in the days to come.